"Conway is an educated, upper middle class professional willingly taking part in a fascist political movement that poses a grave threat to the future of humanity. And worse, Conway is attempting to normalize it by adding her fake smile and soothing voice to the truly abhorrent." 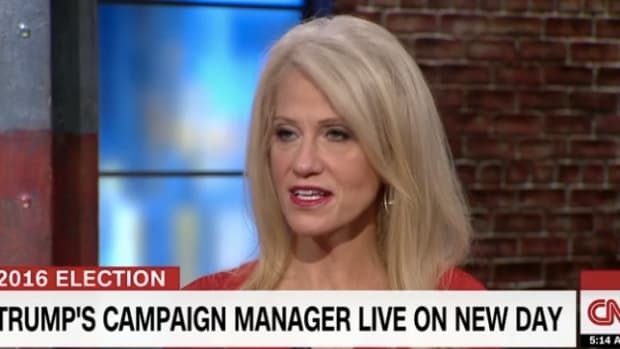 Last Friday, Donald Trump&apos;s campaign manager Kellyanne Conway was interviewed by Bill Maher and asked a series of extremely tough questions about her candidate -- most of them revolving around Trump&apos;s incessant lying. “I must say I have mixed emotions," said Maher as he introduced Conway, who has been a guest on Maher&apos;s show for years. "First of all, you are enabling pure evil,” he continued, only half jokingly. "Come on, Bill, you can do better than that,” she replied, fluttering her eyelids. Well, no, actually, he couldn&apos;t. Kellyanne Conway is enabling pure evil, and the fact that she can keep a straight face about it on a daily basis is starting to become one of the more unnerving aspects of this election. 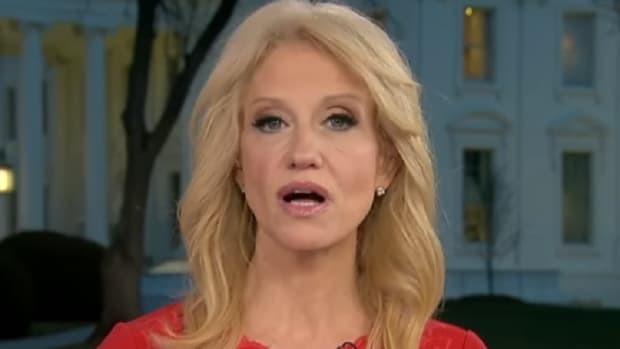 Conway seems like a reasonably intelligent, normal person -- yet she is, working for a man who has not only called women "fat pigs","dogs", "slobs" and "disgusting animals", but lies so consistently that the media barely bothers reporting it any more. Likewise, Conway appears to have no moral issue putting her considerable PR talent to use for a candidate who wants to bar muslims from entering the country, commit war crimes against suspected enemies, and murder Iranian soldiers for making rude gestures. Except of course, Conway -- a mother of four -- most likely does have a moral problem with Trump&apos;s disgusting views on women and his relentless lying. Before Conway joined the Trump campaign to help boost his image with women, she ran a Super PAC affiliated with Sen.Ted Cruz -- a candidate who was mercilessly mocked by Trump in the most appalling way. Does Kellyanne Conway not remember Trump posting an unflattering picture of Cruz&apos;s wife Heidi in an attempt to get one over on his main rival? It was a move so despicable it is shocking Trump managed to hire any women to his campaign team at all, let alone the head of a Super PAC that once supported Cruz. It is unclear how much money Conway is being paid by the Trump campaign, but she is, as she said to Maher, "quickly reminded that Donald Trump did very well for himself" every time she goes into his office to work. 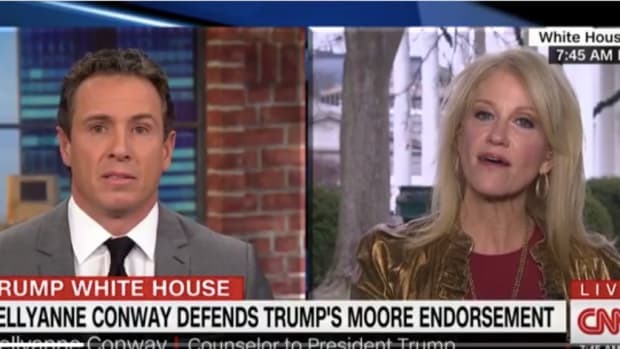 This is a point Conway has made over and over again to anyone who will listen, ostensibly because she wants to remind Americans how successful he is, but also because she wants everyone to know that she gets to be around all that power and money. Conway might not get rich running Trump&apos;s campaign in the short term, but down the line her support in his hour of need will no doubt pay off substantially. Trump takes care of those loyal to him, and Conway&apos;s complete abandonment of her moral compass to join his reprehensible campaign will not go unnoticed. Conway&apos;s presence in the election campaign is quite literally the definition of the banality of evil. She is an educated, upper middle class professional willingly taking part in a fascist political movement that poses a grave threat to the future of humanity. And worse, Conway is attempting to normalize it by adding her fake smile and soothing voice to the truly abhorrent. “You just said you can’t support somebody who lies for a living when I read a list of provable lies,” said a stunned Maher. 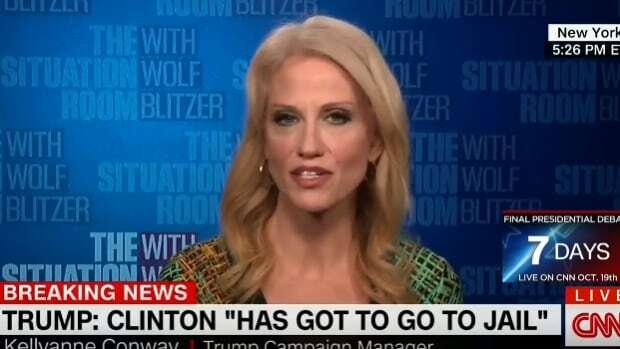 Of course Conway ignored the question completely and turned her attention to Clinton, whom she claimed will turn American into a socialist dictatorship with open borders and so on. Perhaps Conway will be able to look her children in the eye should Trump win in November, but it is unlikely. If you watch her interview with Maher closely, it becomes apparent that Conway knows on some level that she is abetting a monster, but has pushed aside any feelings she has for the sake of her professional career. Conway is not your typical Trump supporter or enabler. She is, as Arendt wrote of Eichmann, terribly and terrifyingly normal. 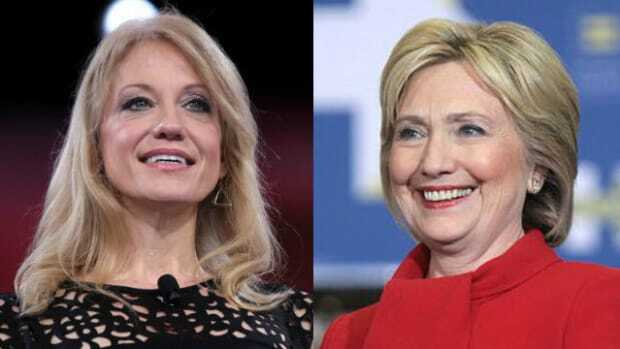 While you might not want to spend an entire week with her, one could easily envision having a perfectly polite coffee or dinner with Kellyanne Conway and not suspecting she supports a bigot and xenophobe like Donald Trump. Yet that is what makes Conway all the scarier, and why Americans need to remember what can happen when the reprehensible is made normal.